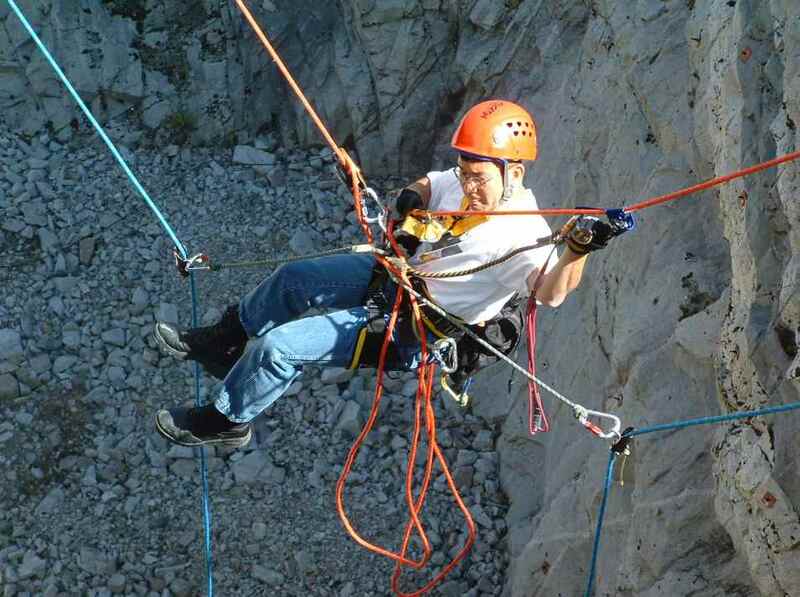 The RASW-1 is a full six days in length and is taught at 4,500' in beautiful and historic Jerome, Arizona and provides basic-to-intermediate skills for the authorized rope access worker. 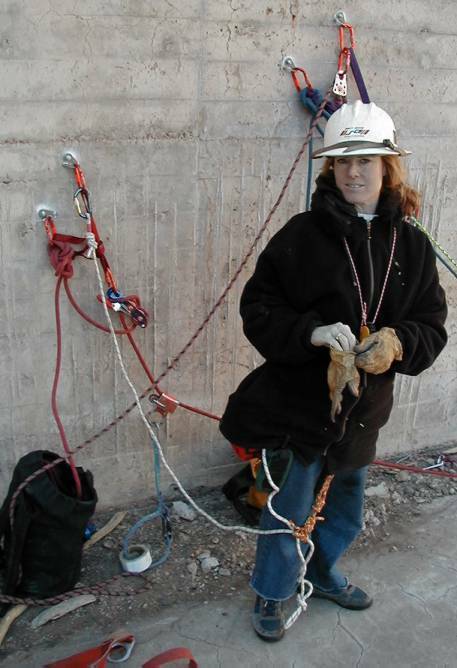 The RASW-1 is entry level and provides training needed for the Society of Professional Rope Access Technician (SPRAT) Level 1, 2 and 3 certifications. Seventh day SPRAT evaluation is optional (if offered). SPRAT test fee and SPRAT Evalauator fees are NOT included in RASW-1 tuition. Prerequisites: You must be in good physical condition to participate in this workshop. 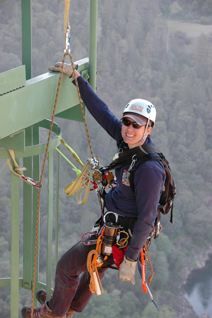 RTR lead instructor, Becky Cordova lead climbing on 730' high Forest Hill Bridge near Auburn, CA. 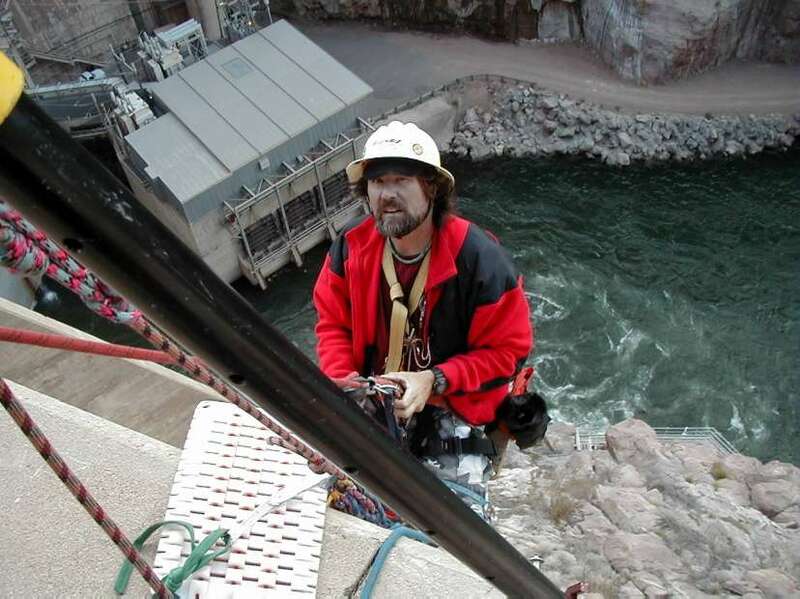 The RASW-2 is 5 days long (five additional days above the six days in length for the RASW-1) and is taught at 4,500' in either Prescott or Jerome, Arizona and provides advanced skills for the authorized rope access worker. 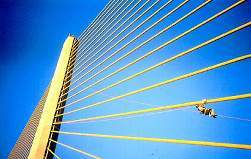 Right, RTR at the Tampa Bay SUNSET SKYWAY bridge for Florida DOT inspection 1998. 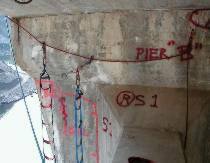 Special rope access equipment was designed by RTR for this difficult inspection. 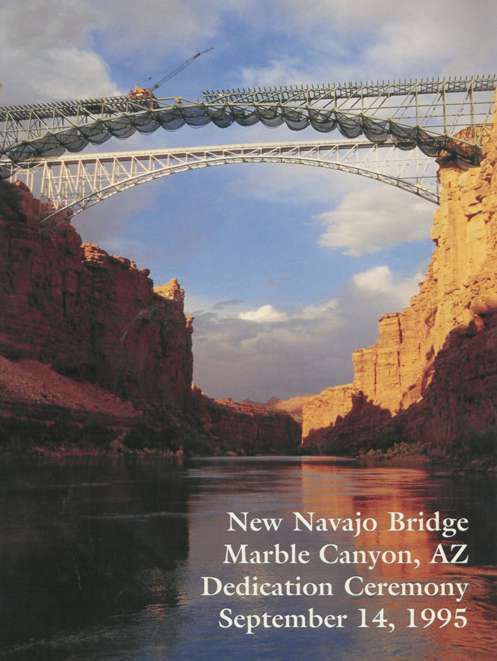 Left, Navajo Bridge nears completion. 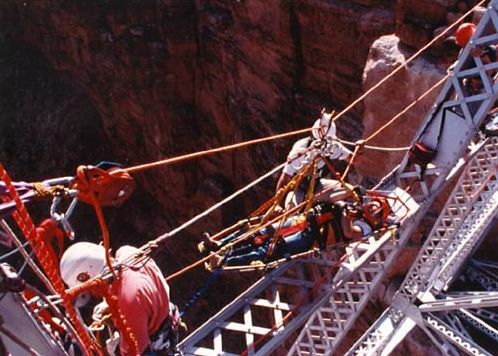 Above, RTR working with ADOT on advanced rescue techniques involving highline to canyon wall from center of bridge. 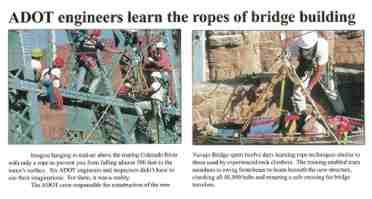 Ropes That Rescue has been contracted to train and supervise high scaling crews for contractors and the Arizona Dept. of Transportation (ADOT). 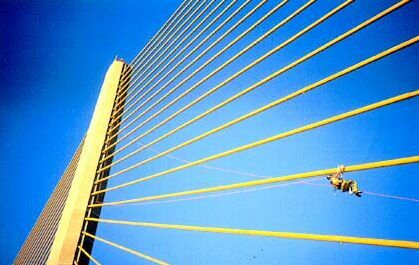 They have designed safe two-rope systems for scalers involved in difficult high scaling operations. RTR riggers are masters at complex scaling anchors and rigging requiring in various rock types including expansion bolts, epoxy bolts and other unique problems relative to multi-rope scaling systems. Two separate safety awards were awarded to teams that were trained and managed by Ropes That Rescue, including the Navajo Bridge rope inspection team for ADOT (see below). This high arch bridge spans the Colorado River in Marble Canyon and was completed in 1995. 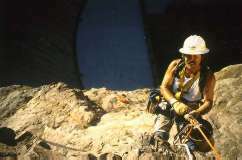 A complete inspection using rope access techniques on the Horse Mesa Dam spillway for Salt River Project in December, 2001.